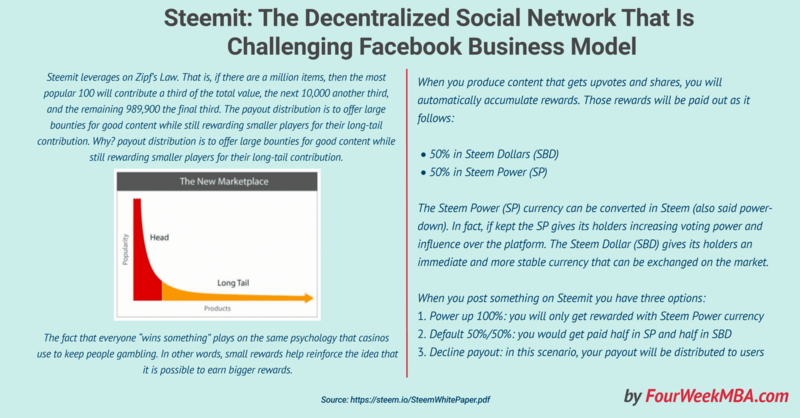 The Steem Blockchain is an ecosystem that relies on Blockchain technologies to reward authors and curators for creating value over the platforms and apps that are coming out from its infrastructure. That is based on the Smart Media Token (SMT) that allows a publisher to monetize their content through tokens easily. The most exciting and critical aspect of the Steem Blockchain I argue is the fact that a set of new applications are coming up, quite quickly. Those applications leverage on what we’ve already learned in the last decade through traditional social media. With the additional advantage of being built on top of the Steem Blockchain. I’m showing you five apps that proved quite useful as of now. Whether or not those applications will be successful in the long run is very difficult. However, their short-term success is already a signal of a long-term revolution in the online publishing world. DTube in a way is the replica of YouTube built on top of the Steem Blockchain. Just like on YouTube you can quickly create your channel and upload your videos. The main difference is that while on YouTube the monetization happens through the advertising revenues that Google shares with its partners. On DTube you get paid from the community for the upvotes you get. You can subscribe to my DTube channel from here. As of the time of this writing, DLive has been mainly used to play video games live, just like on YouTube Games. However, you can pretty much DTube for many other things. You can, for instance, broadcast live, upload a video and have a channel. Anyone is familiar with Instagram nowadays. The Steepshot app replicates the experience of Instagram to leverage on the Steem Blockchain. In short, based on the likes and upvotes you get that is how you can monetize your content. Busy.org is an alternative to Steemit to navigate the Steem Blockchain. I like its interface as it is way more intuitive and it has a few features that aren’t available as of the time of this writing on Steemit. I like to define Busy.org as the Medium of the Steem Blockchain because if you try out its editor, for its simplicity and style it looks kind of like the Medium editor. DSound is a platform that allows you to upload your podcast and audio files to monetize them. If you have already a podcast, this might be another potential source of monetization. As the Steem Blockchain is quickly growing, there are also some aspects that are important as of now and that you might want to know upon joining it. As of now, quality content is still a problem for Steemit and the other apps part of the Steem Blockchain. As we’re still at the beginning, it is still simple in a way to try to game the platform and quickly make a buck. That is why on the platform there are still a large number of bots and spammers. However, this doesn’t worry me in the short term. Also if we look at social media platforms, like Twitter and Facebook they also face similar issues. That is true that they got better over the years thanks to more financial resources. Will the Steem Blockchain keep growing quality content and spamming should become less of an issue. When you join the platform, you expect right away to monetize or to be treated equally by other users. However, even though on Steemit all users can upvote, not everyone has the same voting power. In fact, based on the authority of your account and how much you have available in your wallet you’ll also have certain voting power. To grow your voting power isn’t easy and you might never really monetize your content in a way the allows you to make a living out of it. On Steemit as anywhere else it follows a power law, a few content creators and curators make the most. When you post something on Steemit and other Steem Blockchain apps your content can be monetized only for the first seven days. After that, you don’t get rewarded. Thus, I believe this is limiting as it might incentivize people to post content that can have a buzz (like news) and avoid long-term publishing content, as it takes longer for it to grow organically. This is true as of now, but things might change in the future. When you get rewarded in Steem Powers, the currency of the platform, that is worth like a Steem. However, that isn’t liquid. In fact, to vest your Steem Power, you’ll have to wait about 13 weeks. It is true though that when you post you have the option to be also rewarded in Steem Dollars, the other currency of the Steem Blockchain that can be monetized against other cryptocurrencies, like the Bitcoin. Would Steemit and other Steem Blockchain platforms fail to achieve a long-term sustainable growth they will not be able to succeed. As of now, I’m positive about their future success for a single reason if only one of the apps springing up from the Steem Blockchain (they might be dozens in the next few years) then one of those apps might disrupt old social media. If that is the case we might be going toward the next big thing in the online publishing world and chances are this will come out from the Steem Blockchain. As Blockchain technologies have proven effective in the last years, new business models are springing up. One exciting application is the Steem Blockchain, a protocol that allows online publishers to efficiently monetize their content, while the startups and apps that use this protocol to build an alternative business model that doesn’t have to rely on ads. This model might be more symmetrical compared to others, like Facebook or Google and also sustainable as it is decentralized. A few apps like DTube, DLive, Steepshot, Busy.org, and DSound have been created. They are not only interesting experiments, but they also proved to be successful. Many challenges lay ahead, but it is great to see alternative business models are possible in online publishing.